Back by popular request, here is one more event map! Yay! 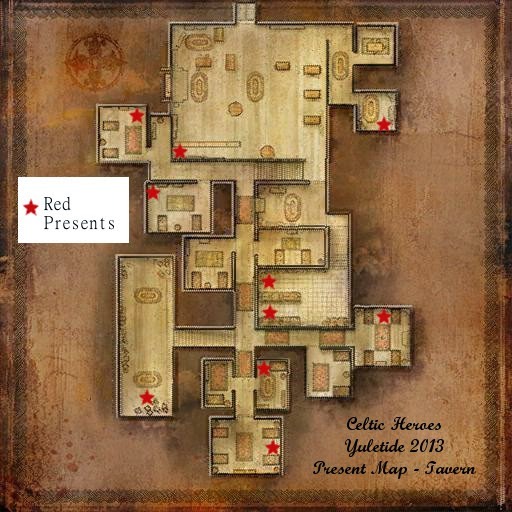 These maps show the locations of the presents, snowmen, spirits, and bosses around Lirs Reach and the Tavern for the Yuletide 2013 event. Like before, this map is a work in progress so I will be updating it as I find more. If you know of any other present locations, please leave me a message in the comments or on the Celtic Heroes forums.